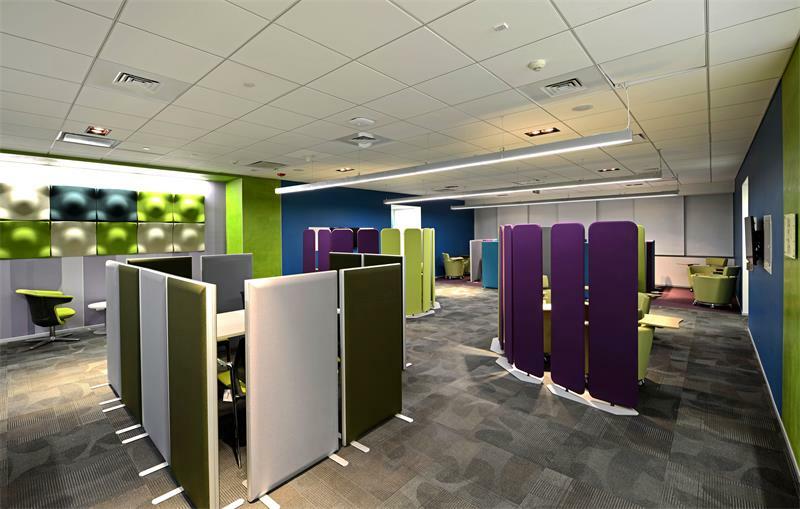 Cisco Pune Facility is the largest facility in India after Bangalore and has the most sophisticated Engineering Lab in India. This facility does not have a assigned seat culture thereby brings in variety for associates on a daily basis. Very sophisticated Indirect task Lighting systems have been deployed in line with CISCO's corporate standards.The central collaborative space is a pioneering concept that many MNC's are emulating as a best practice in their program.Graphics are centered around 'CISCO' effecting the lives of people across the world and thereby visually talking to the observers.